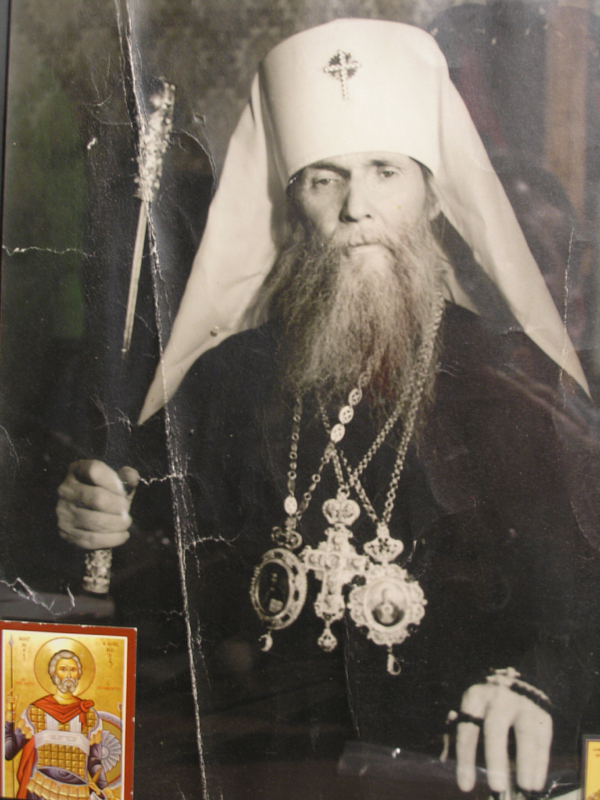 Sermon by the late Metropolitan Philaret given on December 19/6, 1970, Feast of Saint Nicholas. He was the Metropolitan of the Russian Church Outside of Russia. Among the hosts of those who pleased God there are many saintly bishops. Some lived lone ago; others lived more recently. Some are honored by the Church as a whole; others are venerated by local Churches such as our Russian Church. But we would not be wrong if we said that perhaps the deepest impression on the Church was made by two saintly bishops: St. Nicholas and St. John Chrysostom. St. John Chrysostom is one of the Three Hierarchs whose memory is celebrated on the same date, January the 30th: Ss. Basil the Great, Gregory the Theologian and St. John Chrysostom. Each of them is great and glorious and, as they themselves revealed to a bishop of old, equal in glory before God. All of them left to us their spiritually inspired works, but we have more of St. John Chrysostom's writings than of either St. Basil or St. Gregory. In this he is unique. But beside sermons and theological catechist, a bishop's work lies also in another field of endeavor: this is in his role as a pastor doing deeds of mercy and Christian love. All the three universal hierarchs, of course, were rich in this virtue, but St. Nicholas is especially fame for his acts of Christian mercy and the miracles of his pastoral love, and the words of the Old Testament wise man, that the Lord directs the steps of man were literally fulfilled in him. For truly, the Lord led him upon a path which he did not expect. Not without reason states the Russian proverb: "Man proposes, God desposes". We know that St. Nicholas devoted himself from an early age to prayers and asceticism, seeking his salvation through Faith, hope and Christian love in complete seclusion, where he relived the lives of the ancient desert fathers. The place of his struggles in Palestine is still to be found. There he probably expected to end his life. But this was not to be. For once, as he was praying, he heard a voice saying: "Nicholas, this is not the field where I expect you to bring forth fruit. Go to the people, and through you My name will be glorified." And we know from the story of his life of the touching circumstances surrounding his election to the Episcopal seat left vacant by the death of the bishop. A council was called, candidates were nominated, but the ballots seemed hopelessly split. The Lord at night revealed to an elderly bishop that he should go to the church where he would meet a man, by the name Nicholas. This man was God's own choice. Early in the morning the bishop went to the church and saw a priest entering. He asked him: "What is your name?" and was told humbly, "My name is Nicholas and I am the humble servant of your saintliness, Master." The jubilant bishop brought Nicholas and presented him to the council which elected him to the throne. St. Nicholas now understood that he could no longer lead the secluded life he once lived, for he had been raised as a candle upon a candlestick and must so become an example of Christian life for his people. St. Nicholas, as we see, followed the will of the Lord, but most people prefer to follow their own desires. An elder known for his great ascetic struggles, St. Pimen the Great, used to say that with their will men build a brass wall between themselves and God. Our great Russian elder, Father Ambrose of Optina also indicated how often man's will contradicts the will of the Lord. This elder explained that God does not impose a cross upon man, but that man often burdens himself by contradicting the will of God resulting in a weighty cross. May the Lord give us the strength to walk according to His will. And His will is, as expounded by St. Peter: "be holy, for I am Holy". Also, may He, through the intercession of St. Nicholas, have us seek this holiness for His glory. Amen.